There seems to be a reoccurring theme among our RVing friends…none of us can remember those holidays that often impact our ability to find a campsite and/or do any sight-seeing. Don’t get me wrong, I’m not complaining about people who take advantage of long weekends and summer breaks to go camping and get outside. I think it’s great. We used to be those people…the one’s who only had certain days off, as dictated by our jobs or the federal government. But still, these holidays sneak up on us and we’re sometimes left wondering what to do and where to go when the rest of the country seems to be wanting to go camping too. Unbeknownst to us, we had just entered the Spring Break season. 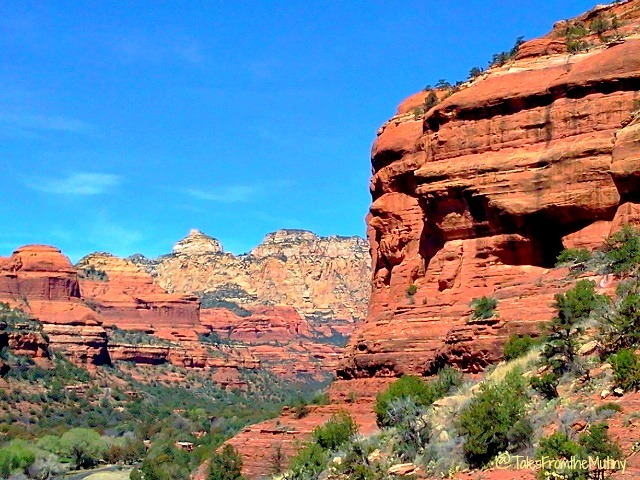 We I had always wanted to visit Sedona. It’s a hot spot for all things yoga, from Chakra to Om and Mala to Shakti. I had envisioned yoga studios lining Main Street separated only by shops selling incense and restaurants serving raw, vegan food. Everyone would walk or ride bicycles and there would be meditation classes happening in every green space. Having recently become a certified yoga instructor myself, I was so excited to be with “my kind”. This was easily the lightest traffic day we experienced. 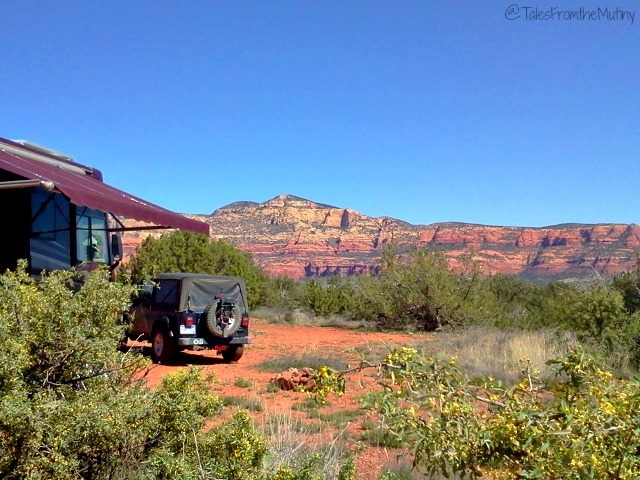 RV Parks in Sedona are hard to come by and fairly expensive (I think there’s only one park in town actually). But that was okay because we were eager to get back to boondocking since free camping means more money to spend on yoga or coffee (or to put in savings…). 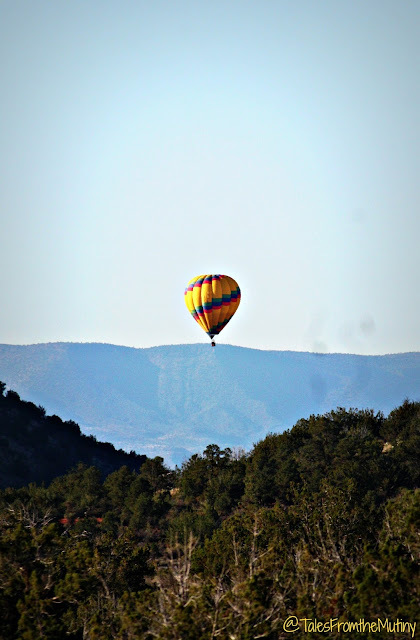 We’d gotten a tip from our friends Watsons Wander about a great boondocking spot just a few miles out of town. We confirmed this on Campendium and left Cottonwood with our GPS set for FR525. When we first turned off 89A onto FR525 we saw a cluster of rigs in a large flat area on the left but we’d read that the really good spots were further up the narrow dirt road (this first spot, close to the road, is actually a staging area for commercial 4×4 tours so if you want to sleep in late you might want to venture up the road). We continued on for about 5 miles and lo and behold, the bumpy road paid off with amazing views and good AT&T and Verizon signals. 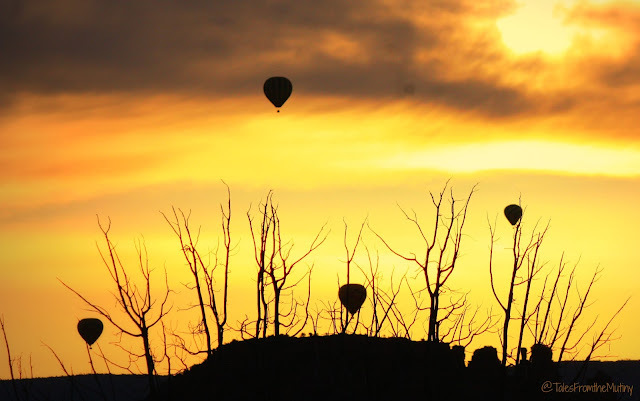 It was worth all the red dust to have our door open up to the red cliffs and balloons silently floating by every morning. 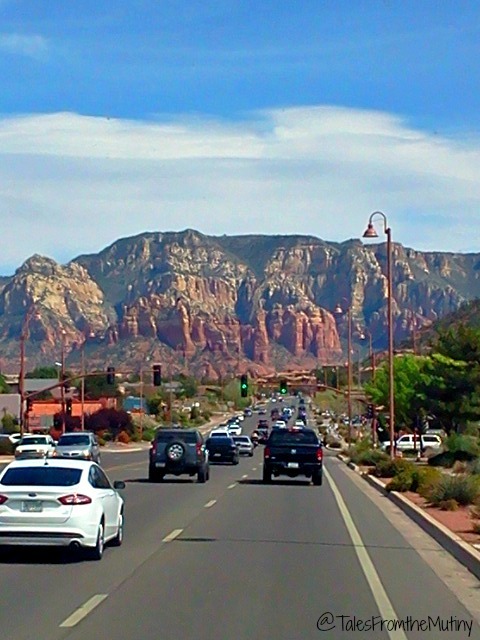 Excited to check out Sedona and immerse myself in the yoga culture we went to town the next morning…and were greeted with traffic like you wouldn’t believe. Like every other tourist, we tried to visit the Chapel of the Holy Cross but couldn’t find a place to park within a mile. The same happened at some of the trails we’d wanted to check out…literally, no parking anywhere. We drove to Bell Rock Vortex and checked 3 different (and very, very large) parking areas specifically for hiking and biking here and not one spot was open. There were hundreds of vehicles (and people) fighting for a spot on the trail. We, however, left without even getting out of the Jeep. A beautiful spot for some cliff houses. 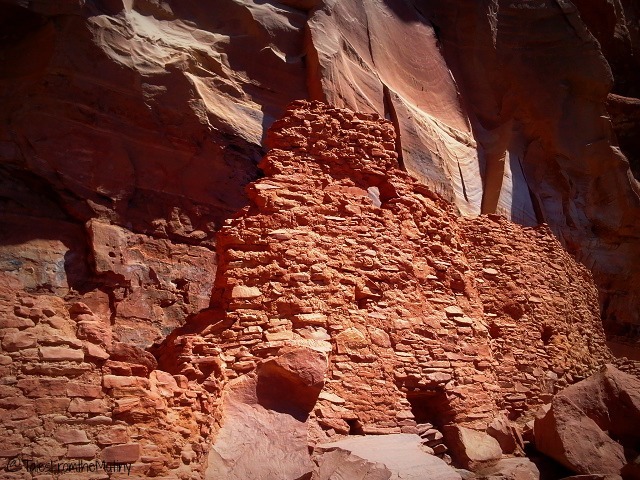 Thankfully, we were able to take advantage of our proximity to Palatki Heritage Site (just a few miles from our campsite) and toured the ruins. 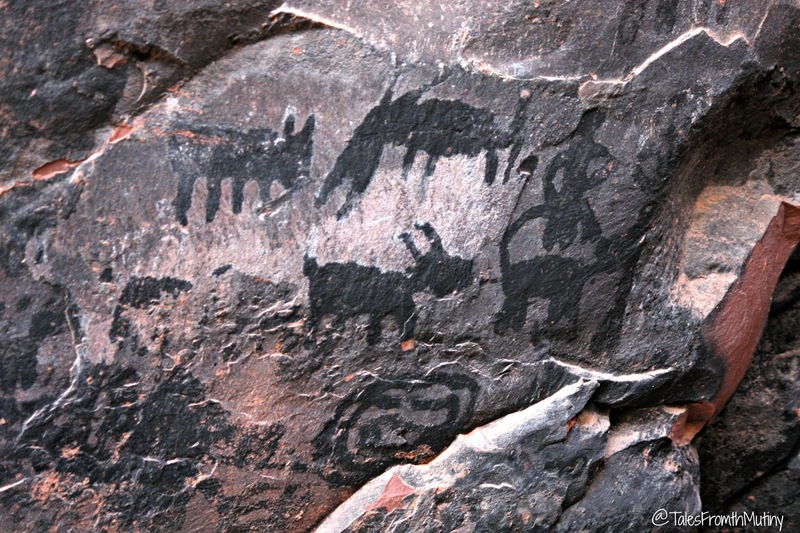 It was a great tour full of new information and a huge number of pictographs. Although smaller in scale than any other cliff type houses we’ve been to the area is gorgeous and tour was well worth the price of admission ($5 for a Red Rock Day Pass or free with America the Beautiful National Park Annual Pass). Only 10 people are allowed near the cliff houses at a time so do call ahead for reservations. 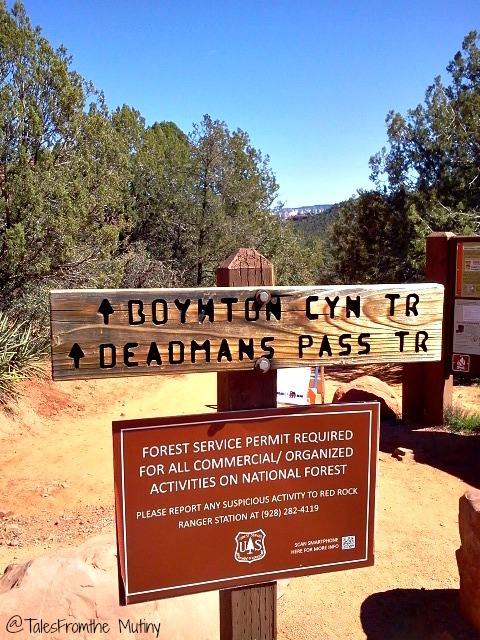 We were also very close to the Boynton Canyon Vortex…one of the places I was eager to hike. A vortex is supposed to be a place of exceptional energy…like a swirling aliveness that’s palpable. It may sound strange but a lot of people claim to feel drawn to certain places (like religious spaces or areas with magnetic variances) and a vortex is no different…except that you’ll often find the trees in the area grow in twists and turns. 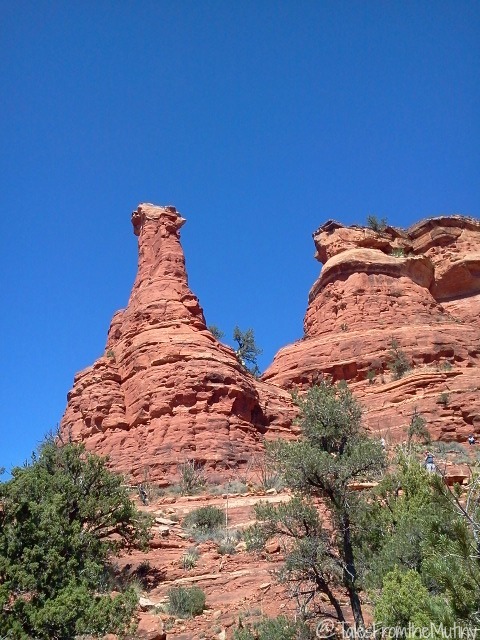 Whatever your belief (or lack thereof) Boynton Canyon is a nice hike that takes you to a rock formation called the Kachina Woman. This vortex is supposed to help balance the masculine and feminine with a side benefit of being a nice place for a picnic. At least I managed to get in a little yoga at the Vortex. 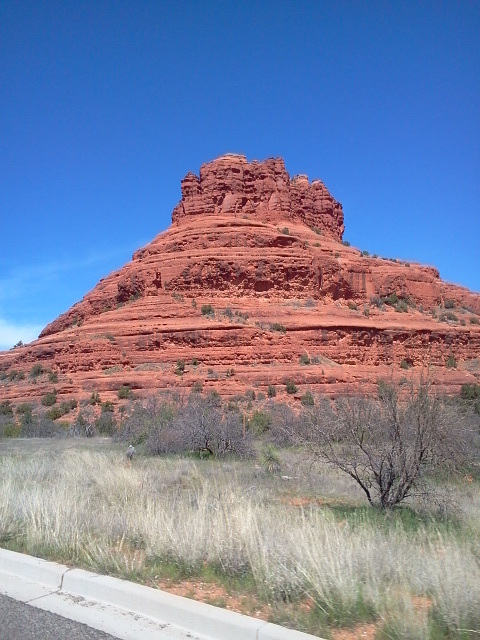 Even though I had fallen into the trap of putting Sedona on a pedestal (and therefore unable to live up to my expectations) we had a great time. Mainly due to our incredible campsite. But we’d also managed to squeeze into town one afternoon to find a shop with handmade Native American art called The Humiovi. There we found a unique and meaningful wedding band replacement for Clark, who had somehow managed to lose his wedding ring somewhere in the Mutiny’s 200 square feet of space (we still haven’t found it). Hopi Silversmith, Gerald Honwylewa Lomanventewa created a masterpiece that now graces Clark’s ring finger. The Sun Face stands for warmth and happiness, the Wolf is the pathfinder (perfect since he drives most of the time) and also stand for fidelity and generosity. Needless to say, I’m a little jealous of his ring. Maybe there’s a symbol out there to help me overcome that feeling. The bad news is I have no recommendations for restaurants, yoga studios or even coffee shops. Zilch. Zero. Nada. We literally did not go out to eat at all. The good news is, we still loved the area. Something about those warm red rocks truly makes this whole area a treasure…one we hope to visit again properly (but not during Spring Break). We lucked out on our spot. Very few Pink Jeeps came by us…I think their turn off was right before our spot…or we didn't notice since we were able to get a bit away from the road. We checked out 525C but at the time the roads were pretty rutted and it would not have been good for the Class A (although after going to that spot in Ajo it might seem doable now). 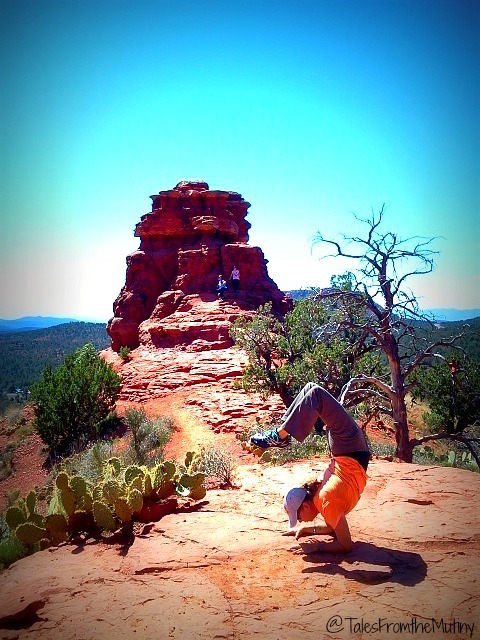 As far as Spring Break…I think it lasts about 6 weeks in the red rocks area (from Sedona to Zion, Moab, etc). We found some out of the way places in Grand Staircase, near Kanab and then around Bryce (but there were still a lot of people). Good luck! Strong yoga move fellow yogi. 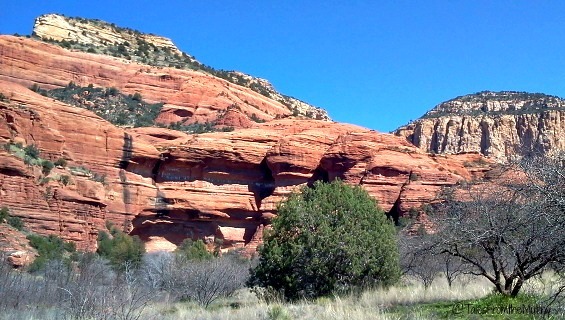 Sedona is always crowded unlike many years ago. YOu are right about spring break much worse. We enjoy the Oak Creek area moe but it is also getting crowded. It's getting to be quite a challenge to go to these "famous" spots. We're finding much more enjoyment in the off-the-beaten path places, when we can, and it's kind of a fun challenge.